The controversial death metal concert by Singaporean band Devouror is definitely cancelled, much to the dismay of fans and delight of critics. Goatlordth Records, the organiser of the gig, stated that there are no plans to move the performance to a later date. The decision to cancel the show is final, as reported. 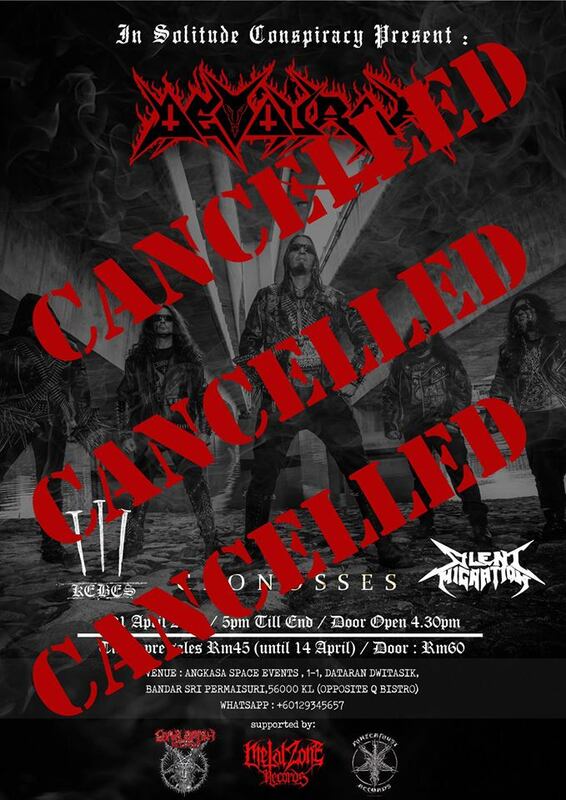 The death metal concert was supposed to be held on Easter Sunday at the Angkasa Event Space in Kuala Lumpur. Easter is celebrated by most Christians to commemorate the resurrection of Christ. However, the Malaysian Council of Churches (CCM) vehemently protested the show and called for its cancellation. The CCM cited that the band’s songs promote “anti-Christian and pro-Satanic” messages. The organiser claimed that media depictions of extreme music are partly to blame for the negative perception among more conservative demographics.